– High performance ۳۲-bit microprocessor with the running frequency of up to ۴۸MHz for excellent performance. – BLHeli_32 firmware is the third generation BLHeli, following base BLHeli and BLHeli-S.
– All codes use damped light mode. Damped light does regenerative braking, causing very fast motor retardation, and inherently also does active freewheeling. settings will work excellently in normal operating environments. – The code supports regular 1-2ms pulse width input, as well as Oneshot125 (125-250us), Oneshot42 (41.7-83.3us) and Multshot (5-25us). – Dshot signaling is supported at any rate up to at least Dshot1200. 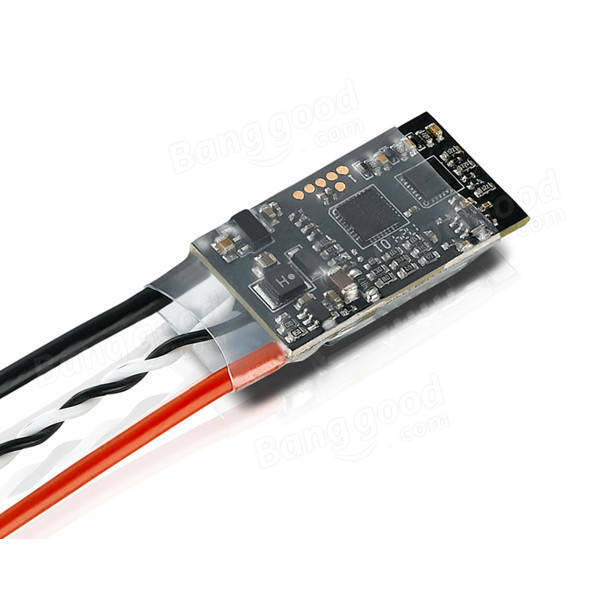 The input signal is automatically detected by the ESC upon power up. – With LED indicator & Beacon functionality, where the ESC will start beeping after a given time of zero throttle. This can be very useful for finding lost crafts.